FURIOUS 7 Review | Warped Factor - Words in the Key of Geek. Furious 7 is a pulse pounding, adrenaline-inducing extravaganza that continues to evolve the story of what has become one of the staples in the action genre of modern film making. As the title alows you to infer, this latest chapter is the 7th film in the highly successful franchise, one which has become the standard for car based action movies. Furious 7 does not disappoint in any way, it’s a ride so guilty it feels a sin! This exciting movie stars Vin Diesel, Paul Walker, Dwyane “The Rock” Johnson, Michelle Rodriguez, Jordana Brewster, Chris “Ludacris” Bridges, Tyresse Gibson, Kurt Russell, Ronda Rousey, Djmon Hounsou, Tony Jaa, and Jason Statham. Strap yourself in for an exhilarating, multifaceted thrill ride that will keep you on the edge of the seat from start to finish. It’s the epitome of a summer blockbuster, just come early. While the “Fast” franchise is known and focuses on action, the films have evolved and become far more than your basic action film. The franchise continues to find new ways to reinvent the story of Brian O’Conner, Dominic Torretto, and their “family”, keeping this tale fresh and giving them an appeal to a wider audience. It has creatively merged a number of genres filtered into it, whilst remaining extremely intriguing, almost invigorating, as the audience is completely submerged once again into the world of fast cars and incredible action. The entire set of films has an episodic feel and mesh perfectly together, and Furious 7 is no different. It blends in perfectly and even helps to merge the events of Tokyo Drift into the story making the series complete. Furious 7 begins as it should, by paying homage to its racing roots. 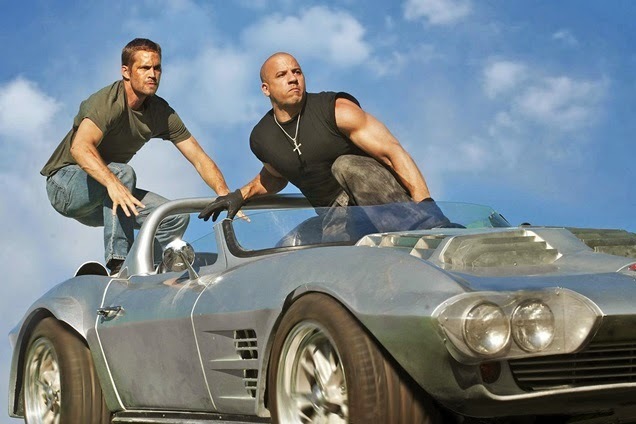 It instantaneously establishes a connection to Fast 6, and then whisks the series back to its initial roots. 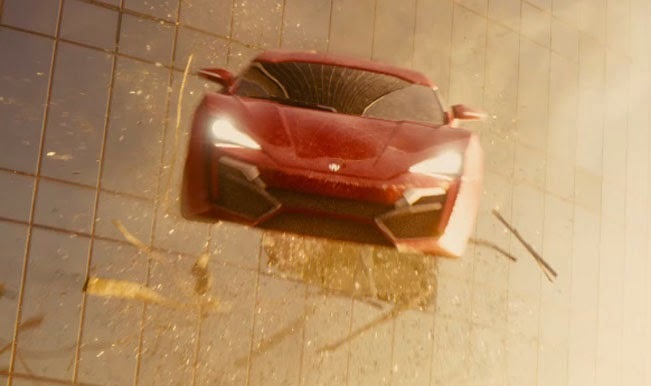 Despite what the franchise has become, the films always manage to tie in a scene or two about street racing and maintaining a connection to what the film was originally based on. This action spectacle has great intensity in its earliest moments and is nearly non stop after that, never allowing for any drop off in the action or the intensity. There is some great cinematography. The combination of fighting sequences and car action scenes are more than enough to satisfy any action lover, and you'll find that Furious 7 is accentuated with some of the most creative action car sequences ever put on film. It's something that could be said about each new addition in the franchise, however, this one pushes the envelope more than any of the prior films. It has more bouts of “outrageousness” than all of the others combined. It's true that many of the car stunts in this one tiptoe the line of being believable, however, in spite of the implausible nature of the action, it is extremely enthralling and very enjoyable. Furious 7 is also gifted with the most talented cast to date, stocked from top to bottom, all haleping to make the film even better. The ensemble mesh well and have great chemistry. In addition to the new talent that is infused into the film, it returns the cast that we have come to love from the previous “Fast” films, as well as reintroducing Lucas Black and Bow Wow (Tokyo Drift) to the rest of the Fast family. One of the best thing about this series is that it really allows moments for each actor to be good at what he or she is really known for. They don't try to force them out of their element, instead they find a way for them to really shine at for what they do best. For me, Chris “Ludacris” Bridges (Taz) and Tyresse Gibson (Roman “Ro” Pierce) were the gems of the film. While Vin Diesel, Paul Walker, and The Rock are the mainstays, it was that duo who were the scene stealer's. They seem to play off of one another better in each film, and bring a much needed comedic element to the film giving a great change of pace from the ultra-serious tone of the franchise. Over the years the “Fast” films have become more multifaceted, and have allowed for the way action films have evolved to be included in the the movies. The first installment was more serious throughout, as that was how most action movies were presented back then. But nowadays, the inclusion of things like the comedic aspects that the duo brings really help sell this to a 2015 audience. Ever since the end of Fast 6, audiences have been waiting for the long anticipated introduction of Jason Statham to the franchise, so it's pleasing to see Statham at his best. He fits right into this perfectly - cold, calculating and diabolical. A perfect offset to the Diesel and Johnson heroes. The untimely death of Paul Walker looms over the film like a dark cloud, however the movie does a good job at handling the situation exquisitely. Fans have been wondering how the movie would handle Walker's death, it's good to see that Furious 7 made the most of the unfortunate circumstance and even flourishes in some ways because of it. The film cleverly features Walker’s character in a number of near death scenes which really increase the suspense level of the movie. 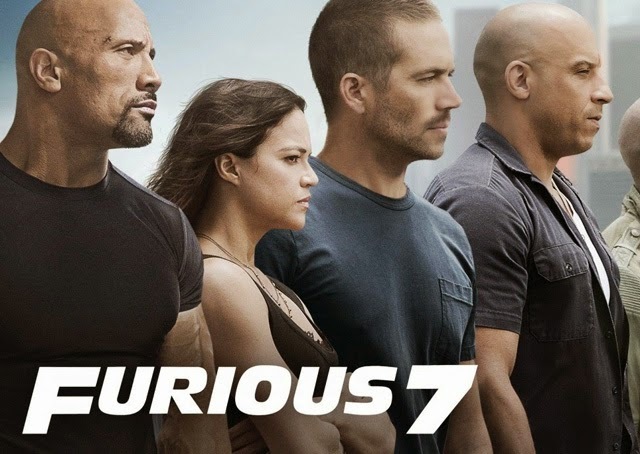 Furious 7 then finds a way to give Walker’s untimely demise a proper sendoff, with not only great handling of the character, but also a showcase for what Walker has meant to the franchise. It was a great tender moment that is well deserved, and one of the best aspects of Furious 7. 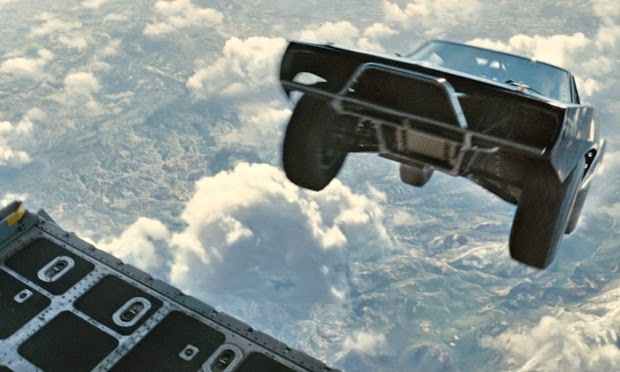 To sum up, Furious 7 is the biggest and boldest yet, and quite possibly the best in the series, even after seven films nothing feels redundant. This movie does a great job at merging the past with the present and continues to wow the audience. It feels like a visit with old friends. There are a number of cheesy one liners as well as some extremely over the top action sequences, but it really plays out like its paying homage to the action films of old. It’s the first must see movie of the year, and easily the best so far.